There was an interesting article in the New York Times last week about people's preferences for the way they style their nightstands (provocatively titled "The Bedside Battleground"). Here at school, my "nightstand" as it were is a set of plastic drawers, which is small and in no way photogenic, but at least it's functional, and it's better than nothing! I keep my iHome on it, along with a little stack of things I'm hoping I'll have time to read just for fun before bed, but other than that, I try to keep it as clean as possible. 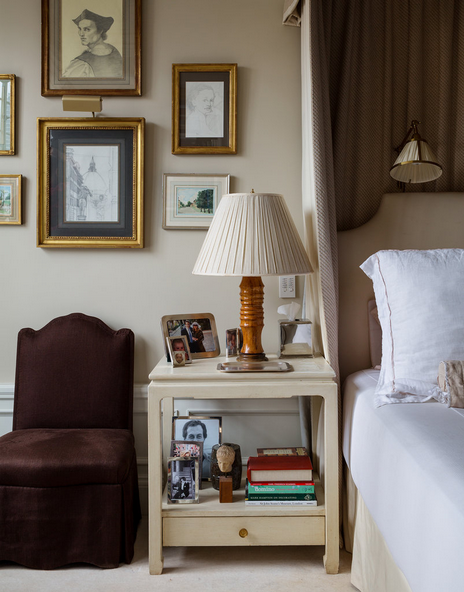 At home, where I have a proper nightstand, I keep it decorated with boxes and trinkets I've collected over the years, as well as several framed photographs of my family and friends. 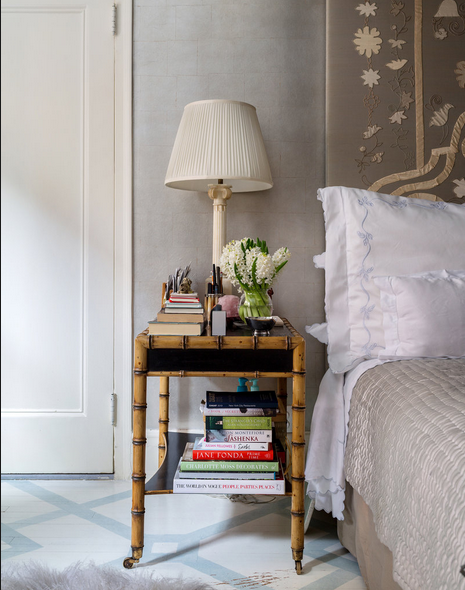 I thought it was so fascinating to read about how people's preferences for their nightstands differ- I had never given it much thought before! I'd love to know- what are your essentials for your nightstand?